Henan Xinmi Changxing Refractory Material Co., Ltd., located in Henan Province, China, has been making refractory products since 1978. 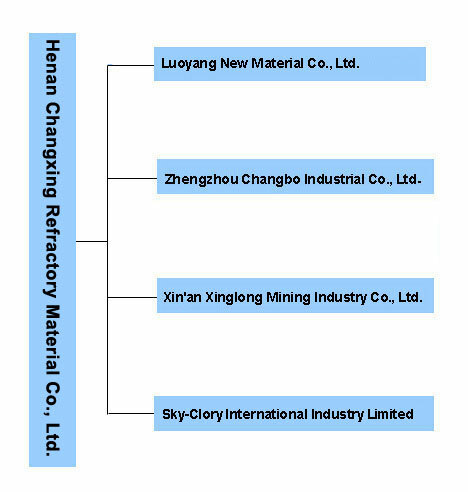 Besides, Changxing Refractory has three subsidiaries and one branch company which are Luoyang New Material Co., Ltd., Zhengzhou Changbo Industrial Co., Ltd., Xin'an Xinglong Mining Industry Co., Ltd. and Sky-Clory International Industry Limited. Changxing Refractory has its own R&D centers and production bases, and also has established technology cooperative relationships with Luoyang Research Institute of Refractory, University of Technology & Science Beijing and some other universities. Changxing Refractory has an annual producing capacity of 180 thousand tonnes of refractory products and an annual turnover of approximately RMB 350 million. Changxing Refractory has passed ISO9001: 2000 authentication and ISO14001 authentication, and has been authorized the import & export right for self-operating international business. Changxing Refractory's product portfolio covers shaped products such as refractory brick, refractory nozzle, ceramic fiber products, calcium silicate products, slide gate, etc; unshaped products including repair, construction and casting mixes and mortars, such as silica(acidic) ramming mass, magnesia(basic) ramming mass, alumina ramming mix. Changxing Refractory products have been exported to more than 20 countries, such as South Korea, Bangladesh, Thailand, Indonesia, Pakistan, Saudi Arabia, South Africa, Turkey, Iran, Iraq and so on. 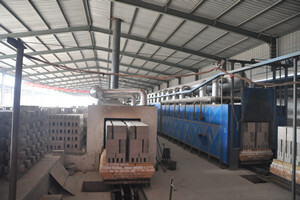 As Changxing Refractory enterprise idea said: Honesty, Innovation, Cooperation, Changxing provides customers with professional pre-sale service and perfect after-sale service. Customer’s requirement serves as a kind of constant innovative power of Changxing people. 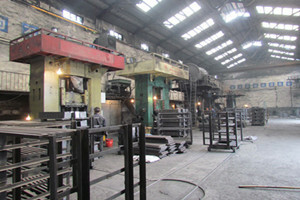 Customer’s success serves as the foundation of Changxing's success and top pursuit. Copyright © 2013 Changxing Refractory Inc. All Rights Reserved.